In the context of the decarbonization of the energy supply in the city of Zurich, it was decided that major parts of the city would be supplied with energy based on ambient heat sources. Ramboll was selected by EWZ to carry out the design, procurement and execution supervision of the heat/cooling extraction from waste water and heat recovery from sludge incineration, as well as the entire network. Originally, the system was designed as an ambient temperature district heating and cooling. However, after a detailed analysis of the environment, Ramboll identified symbiotic relationships, which included heat utilisation from sludge incineration as a form of energy source. 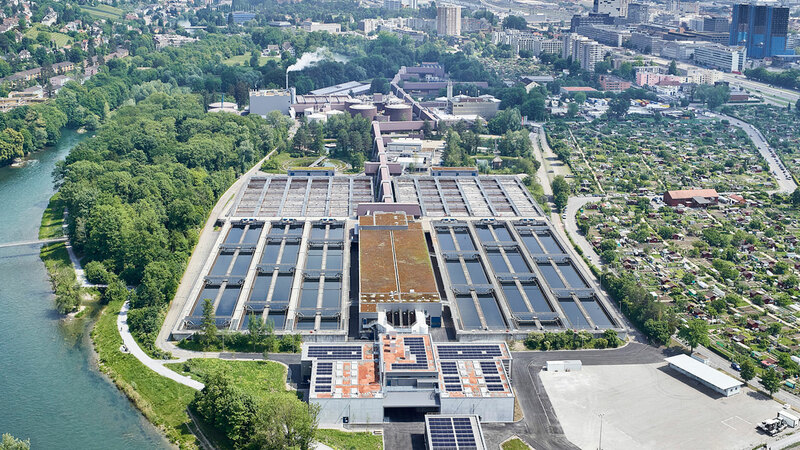 Upon completion, this project will supply the western areas of Zurich, namely Altstetten and Hoengg, with energy originated from waste heat from cleaned sewage water and from the sludge incineration at the city’s sewage treatment plant. Furthermore, the waste water will also serve as a cooling source during the summer. A low temperature network (with maximum forward temperature of 80°C) will be supplied directly by waste heat from the sludge incineration, as opposed to the major area, which will be supplied by an ambient temperature network (with forward temperature between 12°C to 15°C). For the supply of smaller networks in the area adjacent to the hub, there will be local hubs with heating/cooling production by heat pumps. As part of our tailor-made solution, Ramboll developed a combined low/ambient temperature network, which will enable the production of 95% CO2 neutral heating and cooling in the referred area. Lastly, by use of flue gas condensation, this district heating and cooling system will increase the energy utilisation level of sewage sludge incineration from about 50% to over 100%.